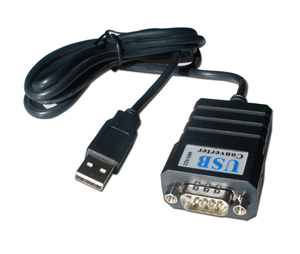 If you need a USB to RS485 / RS422 converter for older operating systems and legacy devices then this converters is suitable. It is designed around the low-cost processor chip PL-2303HX from Prolific which is a good all-round processor ideal for many low-performance applications, simple point-to-point setups and devices however we do not recommend using this converter for newer operating systems (Windows Vista, 7, Mac OS-X), complex and industrial applications. The XS850 is a bi-directional converter, it communicates in both directions, it has both RS485 and RS422 capabilities and is powered through the USB port so no external power supply is required. 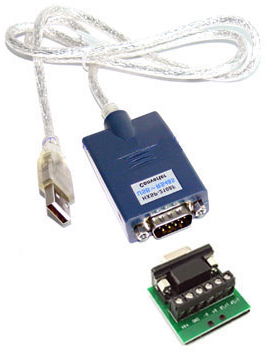 The serial connector is a standard DB9 male connector and a screw terminal header for easy connection of single wires is included with each converter. The drivers that comes with this USB to RS485 / RS422 converter are standard drivers compatible with older operating systems (Windows 95, 98, 2000) and simple point-to-point networks, so again: WE DO NOT RECOMMEND USING THIS CONVERTER WITH NEWER OPERATING SYSTEMS OR COMPLEX DEVICES.